Gleaming in the light, the TACCIA Altitude Collection defies gravity and defines utility in a compact, streamline ballpoint pen—perfect for the pocket, purse, checkbook, and attaché. 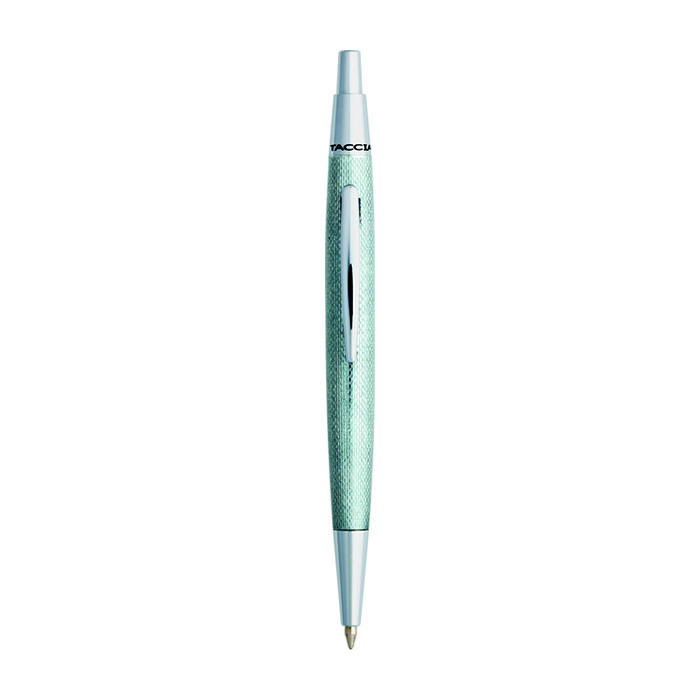 Measuring a convenient 4″ in length, and utilizing a quick push-in mechanism, the TACCIA Altitude is the model ballpoint pen for the person on-the-go. 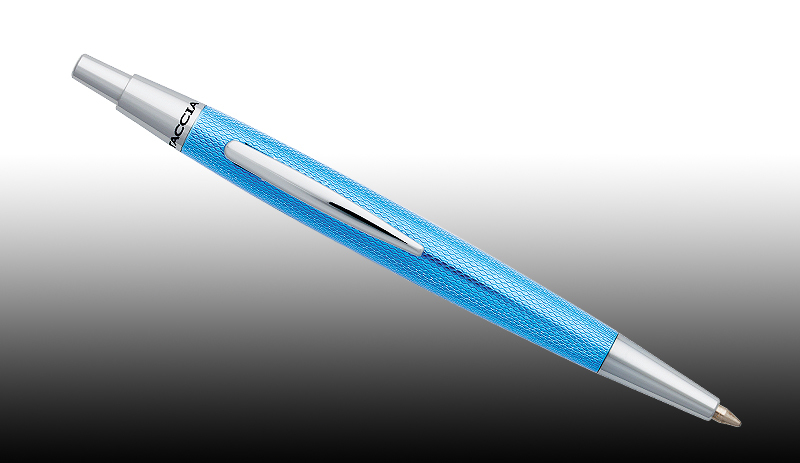 With a guilloche-finish available in colors specifically selected to match all personalities and fashions, the TACCIA Altitude ballpoint redefines practical luxury and economy. 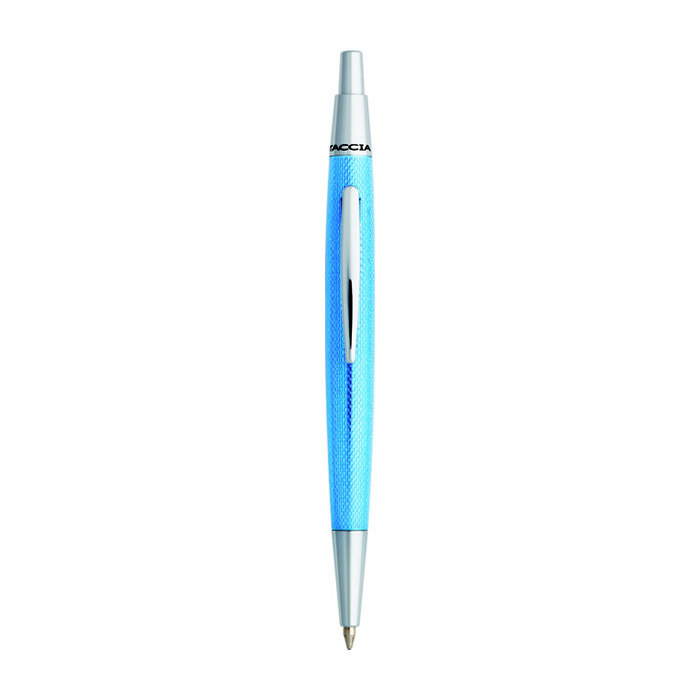 The Taccia Alititude pen is available in Aero Blue, Noble Violet and Quicksilver Sage. 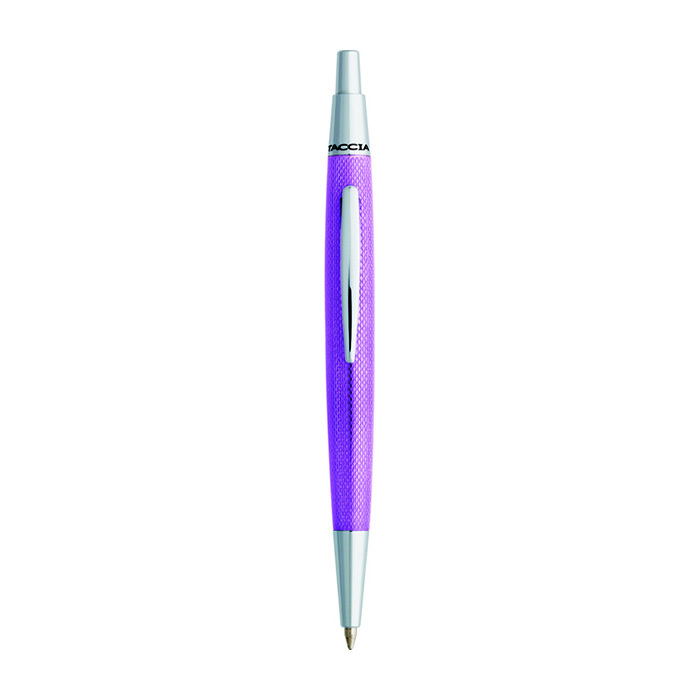 The Altitude uses standard mini-ballpoint (D1-sized) refills.